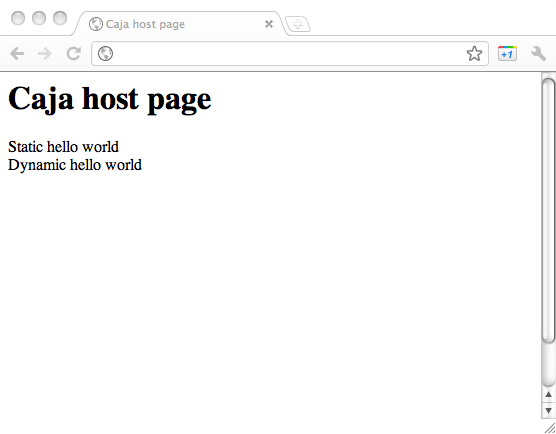 This code embeds the Caja subsystem by linking to caja.js, and connects it to the Caja server by calling caja.initialize. It specifies the debug option, which makes Caja serve its files un-minified for easier troubleshooting; you should omit this option for production work. Having declared an HTML DIV for the guest code, identified by guest, the code uses caja.load to construct a sandbox inside that DIV, ready to receive guest code. Caja invokes the callback with a handle to the sandbox, which we call frame. Providing services to guest code.